'Flower Grandpa' Walks The Aisle In Buckhead Wedding | Corporate Event Planners CCP Events, Inc.
Eventscapes Atlanta was honored to work alongside wedding planner Terry Saxe (SpecialTevents) as the floral designer for the Briskin/Tansantisuk October wedding held at The Grand Hyatt Hotel in Buckhead. Jennifer and Austin were a lovely couple to work with, and their family just as special. Imagine our surprise when we learned that their heartwarming wedding day video with ‘Flower Grandpa’ (which we played a small part of) was picked up by the media and had gone viral! A Buckhead bride showed her true love for her grandfather this month when she gave him a very special place of honor in her wedding. 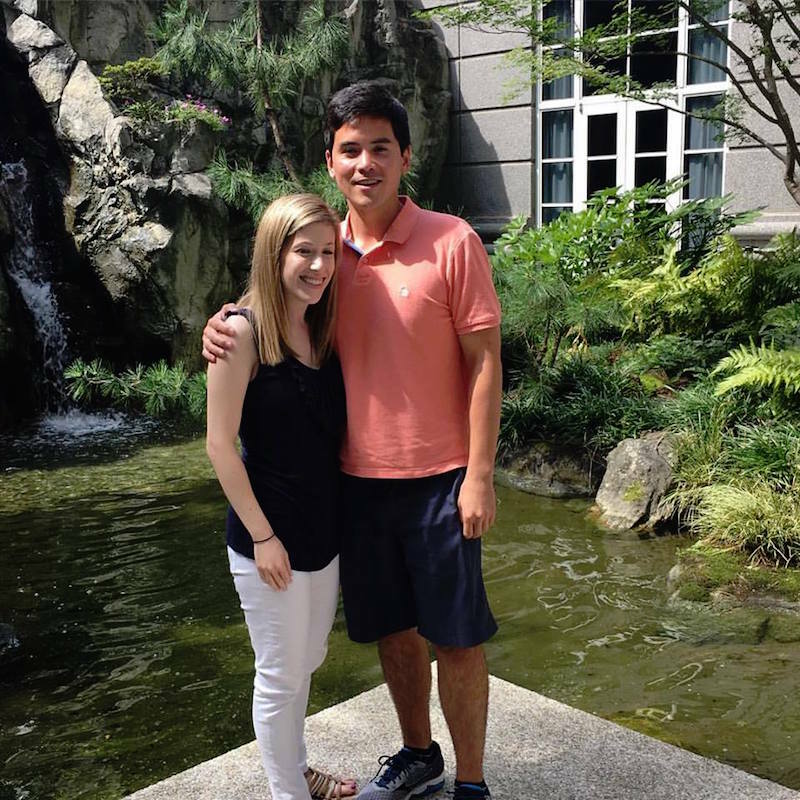 Jennifer Briskin, of Brookhaven, and Austin Tansantisuk said “I do” on October 1 at The Grand Hyatt hotel on Peachtree Road. 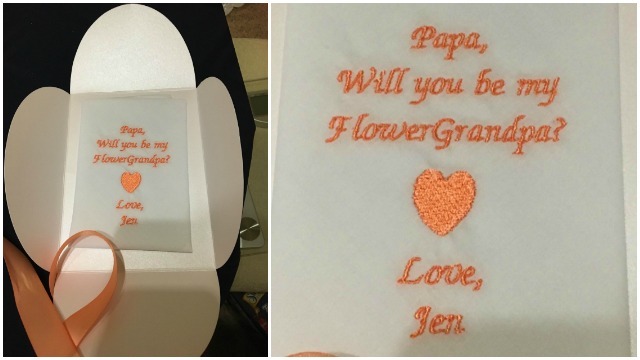 Jennifer gave Stanley an embroidered handkerchief seven months before the wedding that said “Papa, Will you be my Flower Grandpa?” At first he said yes, but as time passed, he didn’t seem to remember he had accepted, so Jennifer asked him again a few months later. “He was so excited, he had a very happy reaction.” However, Jennifer’s grandmother wasn’t too enthusiastic. “She was worried I was going to make him dress like a flower girl, so we had to convince her and he wanted to get her permission.” Jennifer said her grandfather was a little nervous leading up to the wedding, and would practice “walking” down the driveway with her sister. « Casino Night Promotion for 2016 Holiday Parties!